For dynamic positioning systems, a three degree-of-freedom motion control in the horizontal plane has usually been regarded as adequate for practical applications. 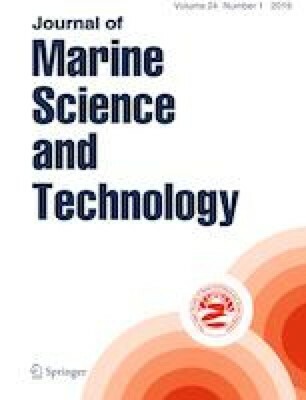 However, for marine structures with a small water-plane area and low metacentric height, unintentional surge–pitch coupled motion will be induced by thruster actions. To effectively mitigate the thruster-induced pitch motion, we first apply a pitch damping controller for the dynamic positioning of a semisubmersible platform. Quantitative studies are conducted to select the optimal control coefficient for this damping controller, and its influence on surge–pitch coupled motion is analyzed theoretically and numerically. Furthermore, a novel adaptive fuzzy damping controller is proposed to improve the pitch mitigating effect. The fuzzy controller takes low-frequency pitch angle and pitch rate as inputs, and outputs time-varying damping control coefficient through fuzzy inference. Comparisons are made between the fixed damping controller and the proposed fuzzy damping controller. Finally, a parametric analysis is conducted to investigate the influence of the maximum damping control coefficient on pitch motion. The overall simulation results show that the proposed fuzzy damping controller has better performance than the fixed damping controller. The authors greatly acknowledge the support of the China Postdoctoral Science Foundation (Grant no. 2017M621479), the Open Foundation of State Key Laboratory of Ocean Engineering (Grant no. 1717), the National Natural Science Foundation of China (Grant no. 51709170), and the Shanghai Sailing Program (Grant no. 17YF1409700).